HP Cashback. HP Toner Cashback. and claim £40 Cashback. Compatible Ink, Toner & Labels. Samsung Xpress SL-C430W. Samsung Xpress SL-C480FW. Samsung Xpress SL-C480W. Yellow - CLTY404S / SU444A - item number: 332610972861. Magenta - CLTY404S / SU444A - item number: 332083528593. HP Cashback. HP Toner Cashback. and claim £40 Cashback. Compatible Ink, Toner & Labels. Samsung Xpress SL-C430W. Samsung Xpress SL-C480FW. Samsung Xpress SL-C480W. Compatible Ink, Toner & Labels. HP Toner Cashback. Samsung ML-1660. Samsung ML-1665. 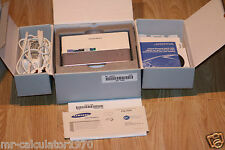 Samsung ML-1670. Samsung ML-1675. Samsung ML-1860. Samsung ML-1865. Manufacturer Part No. : CLT-K406S/ELS, CLT-K406S. Compatible Ink, Toner & Labels. HP Toner Cashback. Product Type: Toner. Colour: Black. They will require a signature. Duty Cycle: Approx. 1,500 pages @ 5% average coverage. HP Cashback. HP Toner Cashback. Compatible Ink, Toner & Labels. Samsung Xpress M2625. Samsung Xpress M2625D. Samsung Xpress M2675FN. Samsung Xpress M2825DW. Samsung Xpress M2825ND. HP Cashback. HP Toner Cashback. and claim £40 Cashback. Compatible Ink, Toner & Labels. Samsung Xpress SL-C430W. Samsung Xpress SL-C480FW. Samsung Xpress SL-C480W. They will require a signature. HP Cashback. HP Toner Cashback. Compatible Ink, Toner & Labels. Samsung ML-2160. Samsung ML-2162. Samsung ML-2165. Samsung ML-2165W. Samsung ML-2168. Compatible Ink, Toner & Labels. HP Toner Cashback. Samsung Xpress SL-C410W. Samsung Xpress SL-C460FW. Samsung Xpress SL-C460W. Samsung CLP-360. Samsung CLP-365. Samsung CLP-365W. Compatible Ink, Toner & Labels. HP Toner Cashback. Samsung CLP-360. Samsung CLP-365. Samsung CLP-365W. Samsung CLX-3300. Samsung CLX-3305. Samsung CLX-3305FN. Samsung Xpress M2875FW. HP Cashback. HP Toner Cashback. Compatible Ink, Toner & Labels. Samsung Xpress M2625. Samsung Xpress M2625D. Samsung Xpress M2675FN. Samsung Xpress M2825DW. Manufacturer Part No. : CLT-C406S/ELS, CLT-C406S. Compatible Ink, Toner & Labels. HP Toner Cashback. Colour: Cyan. Product Type: Toner. Duty Cycle: Approx. 1,000 pages @ 5% average coverage. Manufacturer Part No. : CLT-C406S/ELS, CLT-C406S. Compatible Ink, Toner & Labels. HP Toner Cashback. Colour: Magenta. Product Type: Toner. Duty Cycle: Approx. 1,000 pages @ 5% average coverage. Manufacturer Part No. : CLT-C406S/ELS, CLT-C406S. Compatible Ink, Toner & Labels. HP Toner Cashback. Product Type: Toner. Colour: yellow. Duty Cycle: Approx. 1,000 pages @ 5% average coverage. HP Cashback. HP Toner Cashback. Compatible Ink, Toner & Labels. Samsung Xpress SL-M2020. Samsung Xpress SL-M2020W. Samsung Xpress SL-M2022. Samsung Xpress SL-M2022W. Samsung Xpress SL-M2026. The Samsung Mono Multifunction Xpress M2070W printers combine ease of operation with high performance at an affordable price. Connect to the printer with Wi-Fi Direct even when a wireless network is not available. Manufacturer Part No. : CLT-Y406S/ELS, CLT-Y406S. Compatible Ink, Toner & Labels. HP Toner Cashback. Product Type: Toner. Colour: Yellow. Duty Cycle: Approx. 1,000 pages @ 5% average coverage. 1 X Samsung CLT-K506L. SAMSUNG CLP-680ND. SAMSUNG CLX-6260FX. HP Cashback. HP Toner Cashback. Compatible Ink, Toner & Labels. Samsung MLT-D111S Black Toner Xpress SL-M2020 SL-M2022 SL-M2070 Genuine New. Samsung Xpress SL-M2020. Samsung Xpress SL-M2020W. Samsung Xpress SL-M2022. 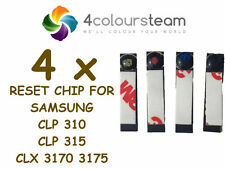 Samsung CLT-P4072C CLP320N CLP325W CLX3185 Full Set. Fast Network & Duplex Ready Desktop Workgroup Printer. 24 Pages Per Minute USB & Ethernet A4 Colour Laser Printer. Toner Level ; Above 30%. Up to 24ppm Colour Print. USB & Network. Up to 24ppm Mono Print. Samsung all in one colour laser Network printer, wireless, USB and NFC connectivity. · Wireless connectivity: Apple AirPrint, Google Cloud Print, NFC. · Print technology: Laser. · Pages per minute (colour): Up to 4 ppm. HP Cashback. HP Toner Cashback. Compatible Ink, Toner & Labels. 100% genuine Samsung toner. Samsung CLP-360. Samsung CLP-365. Samsung CLP-365W. Samsung CLX-3300. 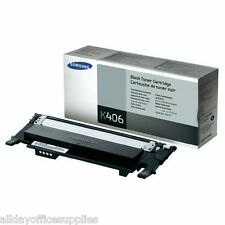 Samsung 307L MLT-D307L Genuine Original Black Toner Cartridge High Yield . New open box item. It appears the black and yellow one are not sealed and the other two are. The seal for the two open toners is still in place. HP Cashback. HP Toner Cashback. Samsung Xpress SL-M2020. Samsung Xpress SL-M2020W. Samsung Xpress SL-M2022. Samsung Xpress SL-M2022W. Compatible Ink, Toner & Labels. Samsung Xpress SL-M2026. 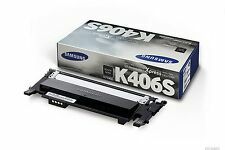 As the only genuine black Samsung K808S toner available for the MultiXpress SMART MX4 X4220RX four-colour laser printer, this cartridge is an essential purchase. 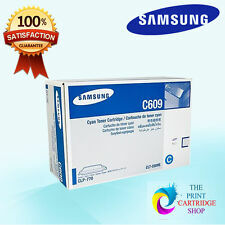 Thankfully, Samsung have seen fit to cram the CLT-K808S cartridge with an incredible amount of black toner powder, resulting in the unit offering an estimated 23,000 prints.Produced by the very same company that manufactured your printer, the original Samsung SS600A offers the best quality of print available for your printer, making it incredibly recommendable. Samsung also fully guarantee the CLTK808S/ELS, making it a risk free purchase for your office. Click here for more details. Exclusively optimized for unrivaled quality Genuine Samsung toner provides crisp details and vibrant print output. Samsung ProXpress Color Laser Printers Print Technology: Laser. Print Colour: Black. Compatible Ink, Toner & Labels. HP Toner Cashback. Samsung ML-3310D. Samsung ML-3310ND. Samsung ML-3312ND. Samsung ML-3710ND. Samsung ML-3712DW. Samsung ML-3712ND. 33 Pages Per Minute Paralle USB & Ethernet A4 Mono Laser Printer. Fast Network & Duplex Ready Desktop Workgroup Printer. Duplex Unit. A4 Mono Laser Printer. USB,Parallel & Ethernet Port. Warranty ; 6 Months RTB Warranty. Purchasing genuine products, like the Samsung K706, ensures the longevity of your laser printer and leaves you secure in the knowledge that you will get the most reliable product possible. 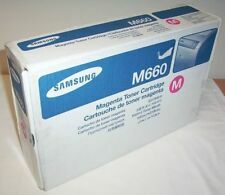 The original Samsung MLT-K706S black toner cartridge cartridge offers around 45,000 pages of the very highest quality prints possible for your machine and comes fully guaranteed by the manufacturer themselves.Each MLT-K706S is guaranteed to be compatible with the Samsung MultiXpress SL-K7400GX and any other printers mentioned on this page. Samsung`s own K706 is the premium choice available for your mono laser printer and this is reflected in the resulting prints from any compatible printer. Click here for more details. Manufacturer Part No. : CLT-K406S/ELS, CLT-K406S. Compatible Ink, Toner & Labels. HP Toner Cashback. Product Type: Toner. Colour: Black. They will require a signature. A Grade Printers. Duty Cycle: Approx.